Abstract—The problems of too much emphasis on technology lack of people-centered educational philosophy, and the construction of the e-learning system lack of system concept and the overall view. In this paper, e-learning ecosystem models based on ontology in developed. 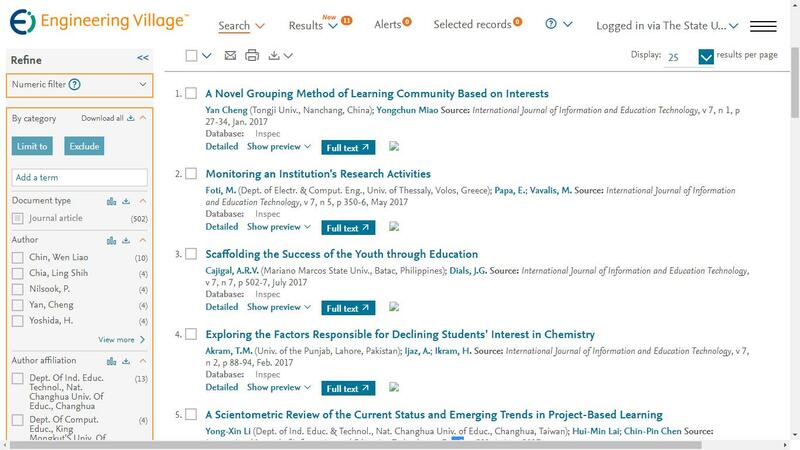 This paper analyses the learner model specification established by the Committee of Chinese education information technology standards, the ontology-based e-learning ecological subject is constructed. After analyzing cognitive psychologists Anderson's Taxonomy of Educational Objectives, ecological environment ontology is promoted. On this basis, e-learning ecosystem model is designed. The paper focus on the use of e-learning ecological ontology in modern distance education ecosystem. This paper provides theoretical support for the building of e-learning ecosystem, and the technical guidance for the design of e-learning ecosystem. Index Terms—Ontology, e-learning ecology ontology, e-learning ecosystem. The authors are with the Distance Education College, China University of Geoscience, Wuhan, China (e-mail: wangqy@cug.edu.cn). Cite: Quanyu Wang, Xingen Yu, Guilong Li, and Guobin Lv, "Ontology-Based Ecological System Model of e-Learning," International Journal of Information and Education Technology vol. 2, no. 6, pp. 595-599, 2012.